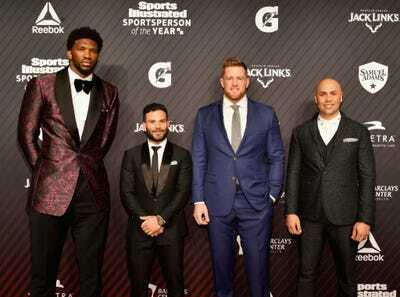 Jose Altuve of the Houston Astros is the reigning American League Most Valuable Player, an achievement that is incredible by itself, but even more so when you remember that he is among the smallest athletes in the four major North American sports leagues, listed at 5-foot-6. 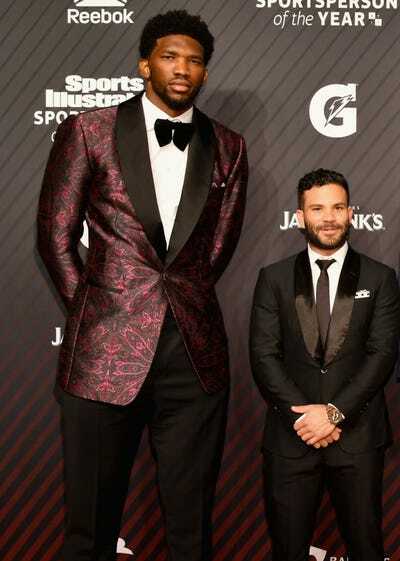 That size became even more pronounced standing next to Joel Embiid of the Philadelphia 76ers. The 7-foot NBA center made Altuve look like a small, bearded child at Sports Illustrated’s 2017 Sportsperson of the Year Show on Tuesday. 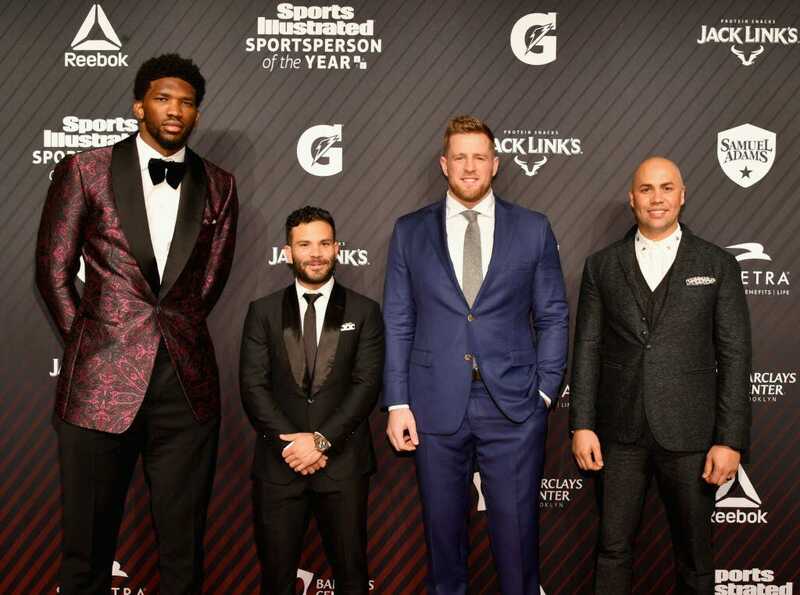 Even the uncropped image is pretty incredible as Embiid even makes the 6-foot-5, 290-pound JJ Watt look … average.